FLATLOCK Archives - Global International B.V.
Our arm flatlock sewing machine feed gives you the option of joining two pieces of light material fabrics together, which cut and dispense the waste material. This ensures a perfect finish on your materials, no matter your expectations. This flatlock sewing machine is also available for neoprene material and sportswear. 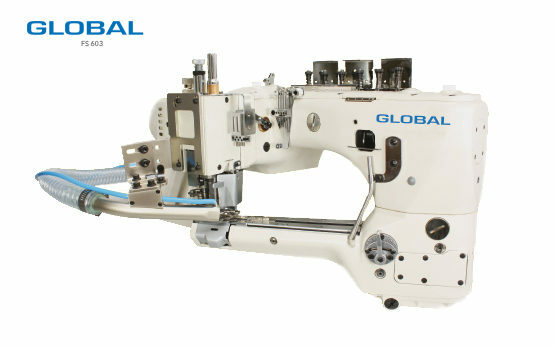 The Global Flatlock sewing machine FS 603 has a direct drive and is an interlock flat seamer with double edge fabric trimmer.